Krakauer Explores Pat Tillman's Death And Cover-Up Jon Krakauer's latest book sheds new light on the death of former NFL player Pat Tillman, who left the Arizona Cardinals to fight in Afghanistan. The author examines the soldier's death by friendly fire, and the government's subsequent effort to cover that up. 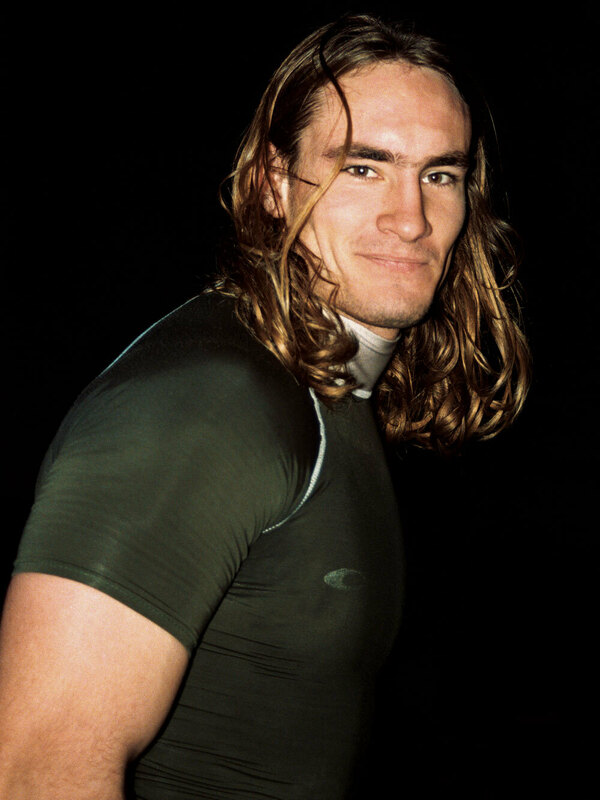 Former NFL player Pat Tillman left the Arizona Cardinals to join the U.S. Army Rangers. He was killed in Afghanistan in 2004 by friendly fire. 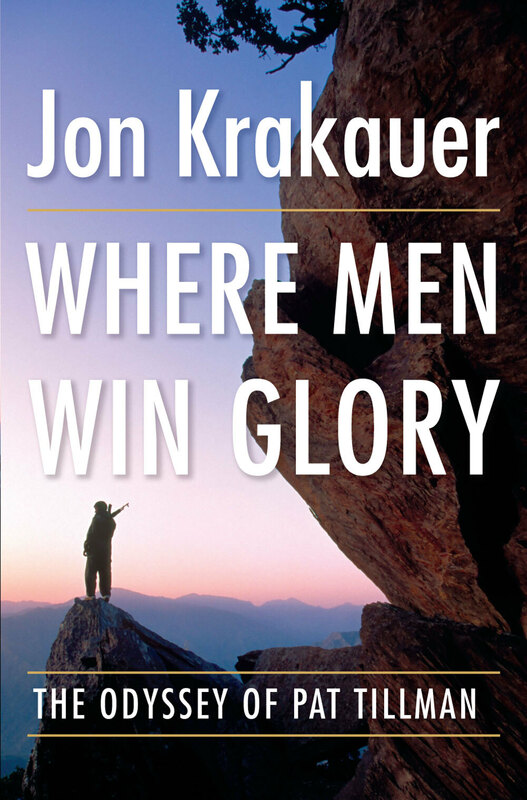 The latest book from Jon Krakauer, author of Into Thin Air and Into The Wild, focuses on the life and tragic death of former NFL player Pat Tillman, who left a lucrative contract with the Arizona Cardinals to join the U.S. Army Rangers. Krakauer talks to NPR's Melissa Block about his investigation into Tillman's death by friendly fire — and the Army's subsequent effort to cover up the circumstances of that death. At least half the members of a platoon traveling through Afghanistan on April 22, 2004, had never been in a firefight before. But on this day, the enemy attacked. In response, the American soldiers sprayed thousands of rounds from their machine guns, M4s and grenade launchers. Not far away was Tillman, accompanied by another American soldier and an Afghan militia fighter, who had been firing his weapon at the opposite canyon wall, where he suspected enemy fighters could be. When, from a distance, the leader of one of the U.S. platoon's Humvees saw the Afghan militia fighter, he reacted. "He testified that the [Afghan] guy had on an American uniform, but in the panic of the moment, he reflexively put the guy in the sights of his M4 and put seven rounds into his chest," Krakauer says. The shots by the leader of Humvee were followed by a spray of bullets from the rest of his men. It was an attack that ended in Tillman's death. What happened next was an effort by the government to suppress the circumstances of Tillman's death. "Within hours, certainly, and probably less, the Ranger regiment — officers, high-ranking officers back in the States — were conspiring to cover this up," Krakauer says. A recommendation to award Tillman with a Silver Star medal, one of the U.S. military's highest honors, immediately began moving through the Army ranks — something that is not done for deaths by friendly fire, Krakauer says. And, says Krakauer, "when a soldier is killed in combat, you should put his uniform, his weapon, everything — anything that can be considered forensic evidence should be sent back to the States with the body, so the medical examiners could determine the cause of death. In the case of Tillman, none of that happened." Tillman's uniform and body armor were burned, says Krakauer, and his weapon, helmet, even a part of his brain, which fell to the ground after the attack, disappeared. Army officials told the medical examiners that Tillman had been killed by the Taliban — and they stuck by this story when they reported the death to his family. "The Army intentionally lied," Krakauer says. "They just broke regulation after regulation." One soldier, Russell Baer, was sent back to the United States with instructions not to reveal to the Tillman family that their son had been killed by friendly fire. After attending the funeral, Krakauer says, "He was so upset at having to lie to Pat's mother that Russell Baer went AWOL." 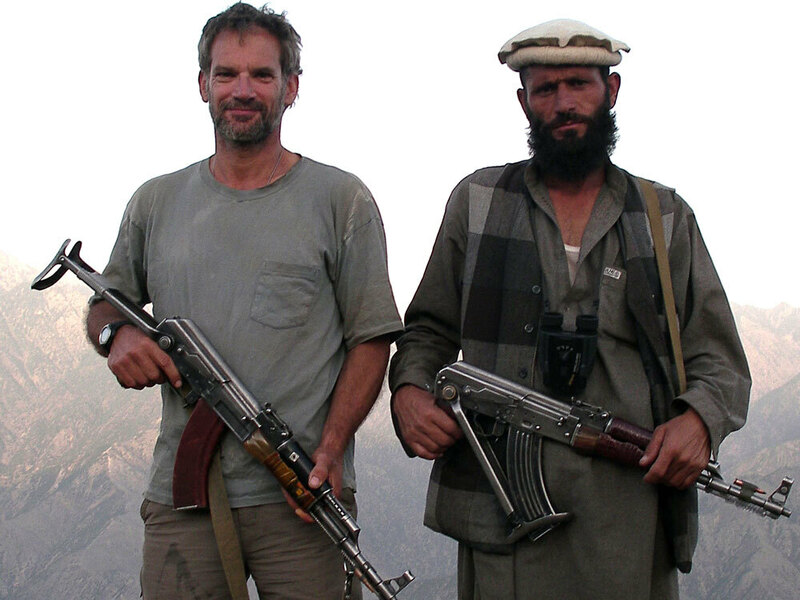 Jon Krakauer (left) on patrol with Afghan Special Forces in June 2006. Though the death of Pat Tillman, and the subsequent congressional inquiry into it, has been covered closely by the news media, Krakauer says there are many details that have yet to be exposed. The author uncovers several new aspects of the story by combing through the more than 4,000 pages of documents related to the government's investigation of Tillman's death, and conversations with his fellow soldiers. Krakauer points out that Gen. Stanley McChrystal, now the U.S. commander in Afghanistan, signed off on the Silver Star recommendation, even though he knew that Tillman's death was a result of friendly fire. In confirmation hearings earlier this year, McChrystal acknowledged that the Army had failed the Tillman family, and he apologized for his part in that. But he maintained that he "didn't see any activities by anyone to deceive," and that he "absolutely" believed that Tillman earned the Silver Star. Ever since Homo sapiens first coalesced into tribes, war has been part of the human condition. Inevitably, warring societies portray their campaigns as virtuous struggles, and present their fallen warriors as heroes who made the ultimate sacrifice for a noble cause. But death by so-called friendly fire, which is an inescapable aspect of armed conflict in the modern era, doesn't conform to this mythic narrative. It strips away war's heroic veneer to reveal what lies beneath. It's an unsettling reminder that barbarism, senseless violence, and random death are commonplace even in the most "just" and "honorable" of wars. Consequently, and unsurprisingly, when soldiers accidentally kill one of their own, there is tremendous reluctance to confront the truth within the ranks of the military. There is an overwhelming inclination to keep the unsavory particulars hidden from public view, to pretend the calamity never occurred. Thus it has always been, and probably always will be. As Aeschylus, the exalted Greek tragedian, noted in the fifth century b.c., "In war, truth is the first casualty." When Pat Tillman was killed in Afghanistan, his Ranger regiment responded with a chorus of prevarication and disavowal. A cynical cover-up sanctioned at the highest levels of government, followed by a series of inept official investigations, cast a cloud of bewilderment and shame over the tragedy, compounding the heartbreak of Tillman's death. Among the several thousand pages of documents generated by military investigators, some baffling testimony emerged from the Ranger who is believed to have fired the bullets that ended Tillman's life. In a sworn statement, this soldier explained that while shooting a ten-round burst from his machine gun at the hillside where Tillman and O'Neal were positioned, he "identified two sets of arms straight up" through the scope of his weapon. "I saw the arms waving," he acknowledged, "but I didn't think they were trying to signal a cease-fire." So he pulled the trigger again and sprayed them with another ten-round burst. How was one supposed to make sense of this? Or this: in July 2007, the Associated Press published an article reporting that the Navy pathologist who performed Tillman's autopsy testified that the forensic evidence indicated Tillman had been shot three times in the head from a distance of thirty-five feet or less. The article prompted widespread speculation on the Internet and in the mainstream press that he had been deliberately murdered. Many other details about the fatal firefight that found their way into the public domain were similarly perplexing. Perhaps the greatest mystery, however, surrounded not the circumstances of Tillman's death but the essential facts of his life. Before he enlisted, Tillman was familiar to sports aficionados as an undersized, overachieving football player whose virtuosity in the defensive backfield was spellbinding. But during the four years he spent in the NFL, Tillman played for the Arizona Cardinals — a mediocre small-market team that was seldom in the limelight — so his name wasn't widely recognized beyond the realm of hard-core football fans. Although it wasn't Tillman's intention, when he left the Cardinals to join the Army he was transformed overnight into an icon of post-9/11 patriotism. Seizing the opportunity to capitalize on his celebrity, the Bush administration endeavored to use his name and image to promote what it had christened the Global War on Terror. Tillman abhorred this role. As soon as he decided to enlist, he stopped talking to the press altogether, although his silence did nothing to squelch America's fascination with the football star who traded the bright lights and riches of the NFL for boot camp and a bad haircut. Following his death on the battlefield, the public's interest in Tillman shot through the roof. The posthumous media frenzy shed little light on who he really was, however. The intricate mosaic of personal history that defined his existence was obscured by the blizzard of hype. Unencumbered by biographical insight, people felt emboldened to invent all manner of personae for Tillman after his passing. Most of these renderings were based on little more than rumor and fantasy. The right-wing harridan Ann Coulter claimed him as an exemplar of Republican political values. The left-wing editorial cartoonist Ted Rall denigrated him in a four-panel comic strip as an "idiot" who joined the Army to "kill Arabs." Neither Coulter nor Rall had any idea what motivated Pat Tillman. Beyond his family and a small circle of close friends, few people did.